This listing is from one of our latest kickstarter campaigns. We were successful in reaching our goal. It was designed for escape rooms, laser-tag arenas, paintball arenas, etc. This laser tripwire set has four different programs, and three sub programs that are easy to choose from. You can connect it to your Arduino, or you can simply use it as a laser grid tripwire module. There are two tripwire modes of operation, and two Arduino compatible modes of operation. Needless to say, there is a lot of information to cover. The video above is a full video manual. The video below is a bit more glamorous in how it shows off this unit as a whole. 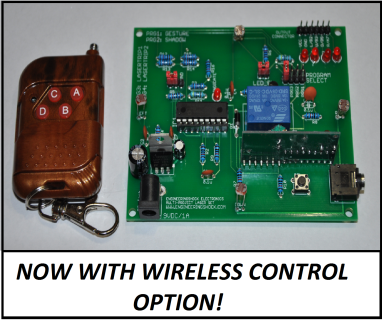 This unit has wireless control, so that you can arm and disarm the unit through a wireless transmitter key-fob that is included with this listing. We are selling two variations of this set. 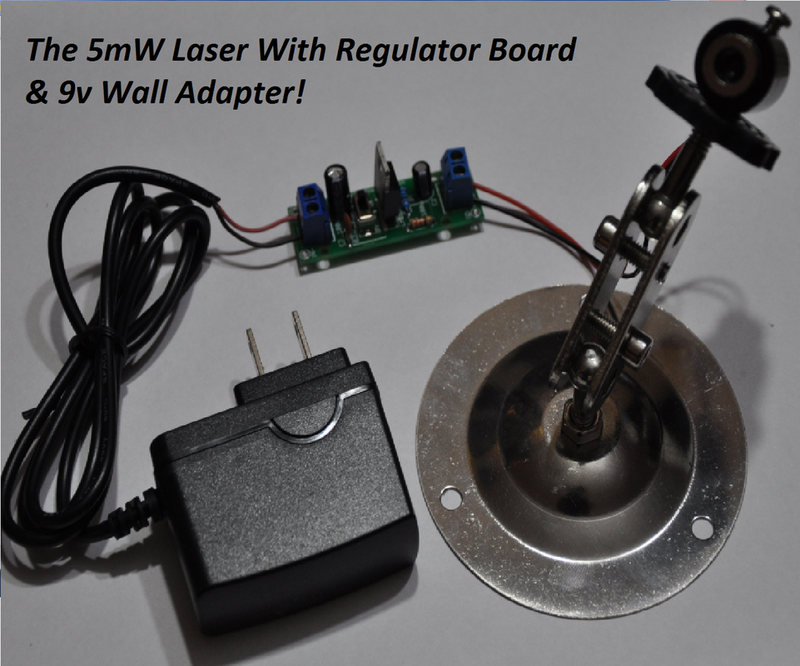 This variation (Version#1) comes with only one laser/mount/regulator set. Version#2 comes with four of them! Version#2 is more expensive, but it comes with a heck of a lot more hardware. 1) This device comes assembled, but without a casing. It is up to the user to mount both boards and the loud siren. The processor board, the regulator board, and the loud siren each have mounting holes for easy installation. As well, the siren has the option of using a two-sided tape strip on the back of the siren. Simply remove the protective layer, and stick your siren to your project box. 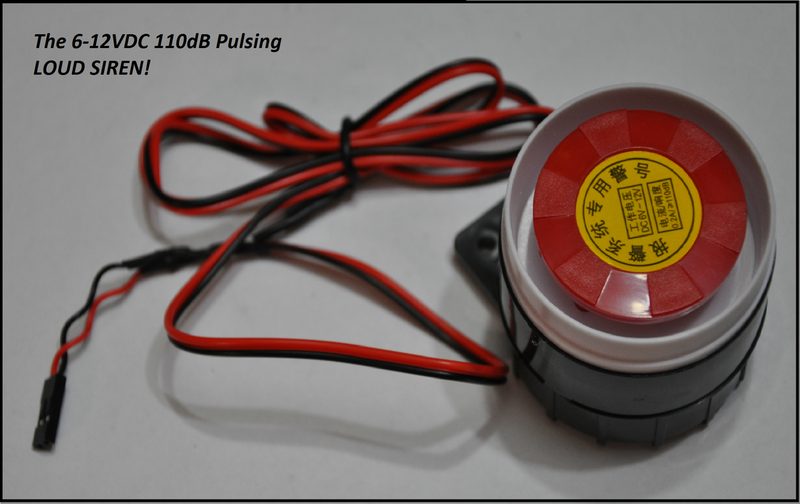 2) A solid 9-12v power supply is required. 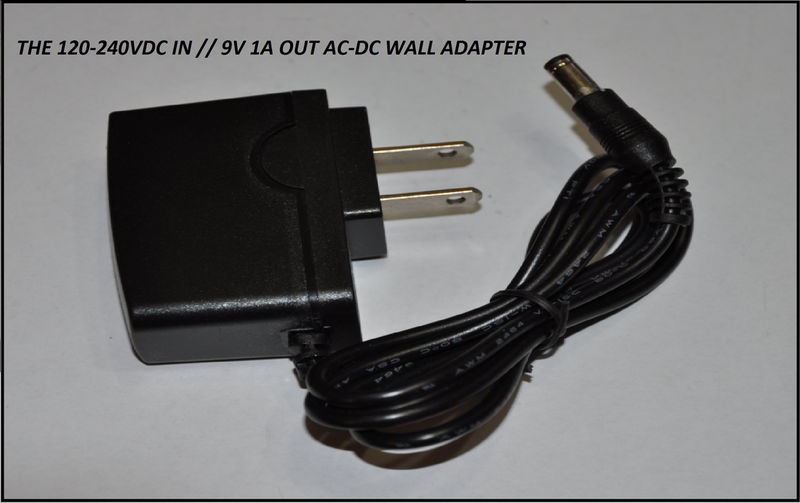 An AC-DC adapter is provided for both the processor and regulator boards. If you choose to use your own power supply, and the supply voltage at the input drops below 7v, the device will likely have issues when the siren is enabled. While this unit is extremely easy to use, we've created a written user manual, and several videos to showcase everything. The video above gives a full demonstration in great detail. The Written manual gives a ton of information in written form. There are also lots of diagrams. If after you watch the video above, you have questions, please feel free to consult with the written manual, or simply send us a question. We'll make sure to answer promptly.